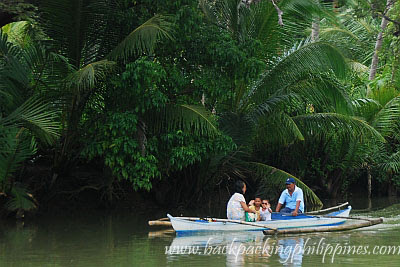 A lesser-known River Cruise on Loboc River in Loay town of Bohol with starting point near the Loay Bridge. 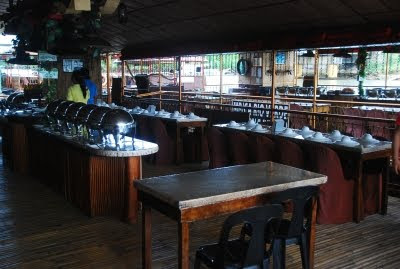 It features the catamaran-style floating restaurant, using two single-hull bancas supporting the weight of the restaurant, using a diesel engine, where guests partake buffet lunch (or dinner) while being serenaded by musicians. Loay River cruise takes about an hour with a stop-over at an "authetic" Ati Tribe of aborigines upstream (more on this in a future post). HI. 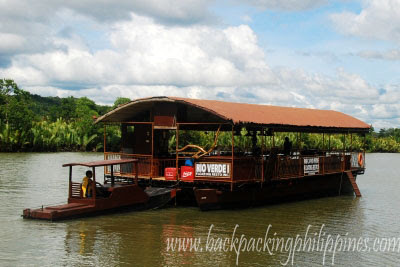 I'm planning to create club dedicated for young Filipino travelers. I'm an avid traveler myself and I think I need people whom I share the passion with for traveling to be able to form this group. If you're interested please send me your contact details. Thank you. My email add is - goorishankar@yahoo.com.